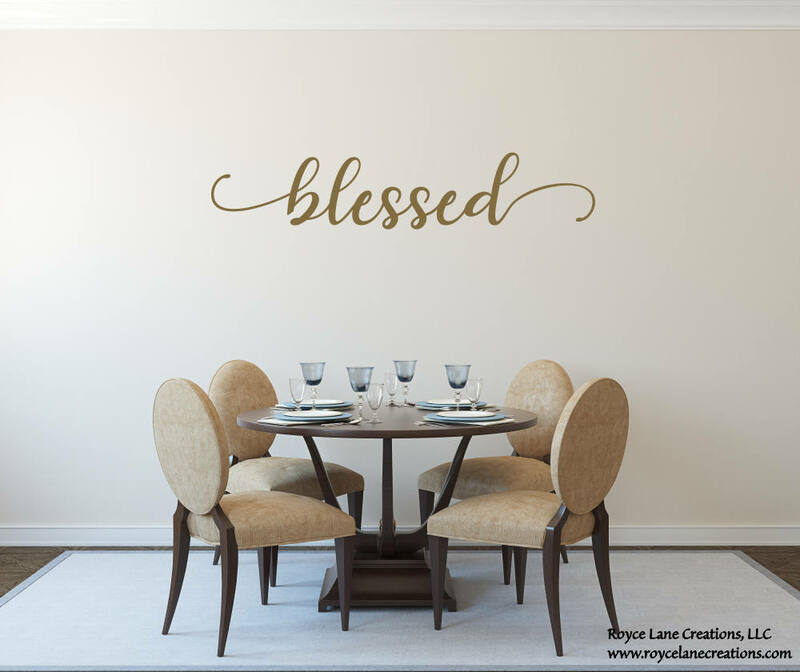 This blessed decal is made with a handwritten style font that is so elegant. It is shown here in a gold metallic vinyl. The decal looks stunning in our metallic colors for a dressier look and simply perfect in our matte colors for more casual decor. Many sizes available too! See the drop-down menu for sizes and available colors.